This is the most unique and secure case to hit the market since the introduction of the Original Secure Firearm Products internal locking firearm case. The original case has been redesigned and modified to be more user friendly and secure. 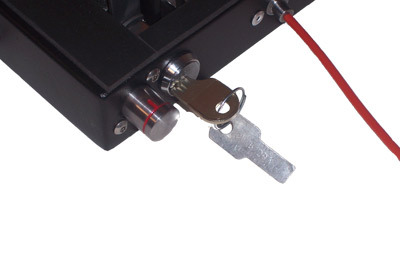 The locking system has be come more user friendly utilizing a push button instead of removable cylinder. The handgun case has been streamlined in size and now is more able to be checked inside luggage instead of being checked separately. This makes the firearms more secure because now a thief must know the case is in your luggage. However we created a lockable cable device which now allows you to lock the case to your outer luggage (provided there is a frame or place to lock it to). The easy to use push button locking system also tells you at a glance if the case is unlocked or locked. Locking is simple just follow these steps. Rotate the button till the short red line is on top and push in till flush.